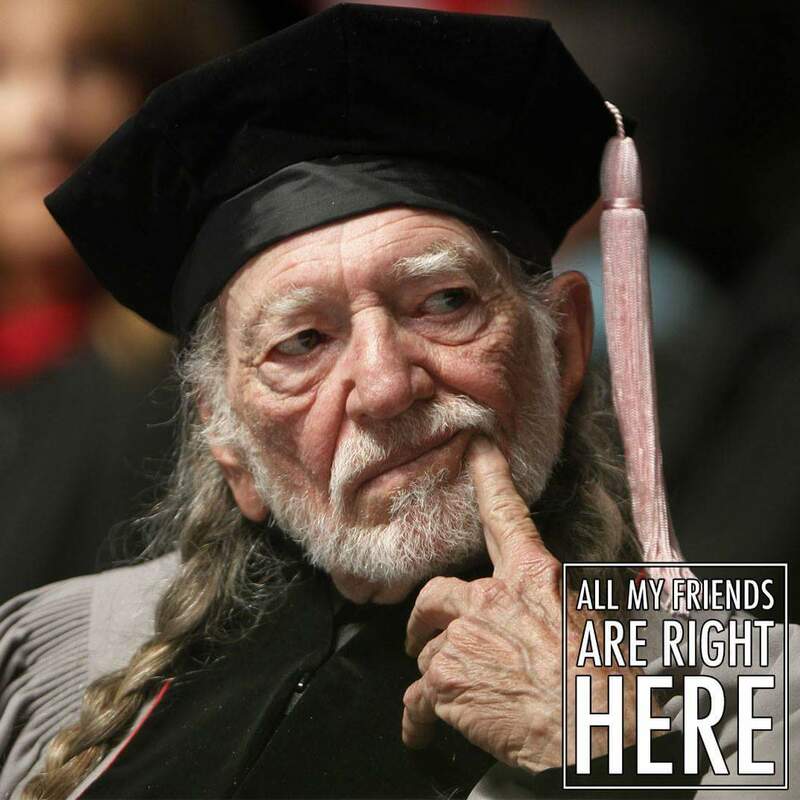 All My Friends Are Right Here 058 – Happy Birthday Willie Nelson! It’s the most wonderful time of the year for country music legend Willie Nelson! On this episode of All My Friends Are Right Here, three of his biggest fans wish Willie a happy birthday (as well as any other holidays he might be observing this week) by delving deep into his catalog to discuss their favorite moments in his incredible, unlikely career. Topics include: how Willie discovered his signature sound, misguided cover choices, and smoking weed ON TOP OF THE WHITE HOUSE.